Tomorrow evening (20th Feb) at the Costain club Dolphin Complex from 7pm there's a quiz night that runs on till 10pm. 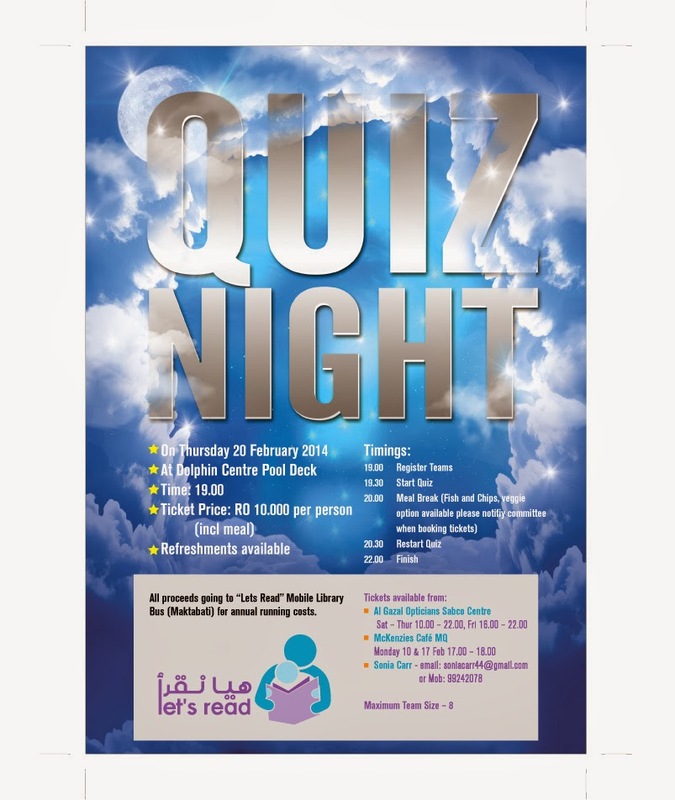 The quiz is a fund raiser for the Lets Read mobile library bus, Maktabati, and tickets (which include dinner - fish & chips) cost RO 10 per person. Maximum team sizes of 8 are allowed, but you can be allocated to join another team if you don't have a team of 8 to enter.